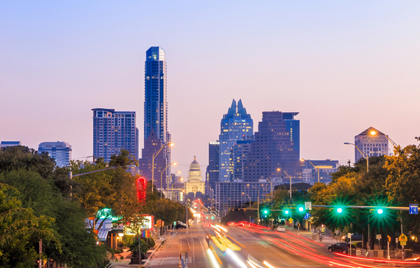 Effective April 4, 2016, the City of Austin, TX will impose Ordinance #20160324-019. The ordinance restricts employers in the city from asking about and using criminal record report information by adding a new chapter 4-15 “Fair Chance Hiring”. A. An employer may not publish or cause to be published information about a job covered by this chapter that states or implies that an individual’s criminal history automatically disqualifies the individual from consideration for the job. B. An employer may not solicit or otherwise inquire about the criminal record report of an individual in an application for a job covered by this chapter. C. An employer may not solicit criminal record report about an individual or consider an individual’s criminal history unless the employer has first made a conditional employment offer to the individual. This does not preclude an employer from explaining to applicants, in writing, the individualized assessment system that the employer uses to consider the criminal record. D. An employer may not refuse to consider employing an individual in a job covered by this chapter because the individual did not provide criminal record report before the individual received a conditional employment offer. E. An employer may not take adverse action against an individual because of the individual’s criminal history unless the employer has determined that the individual is unsuitable for the job based on an individualized assessment conducted by the employer. F. An employer who takes adverse action against an individual based on the individual’s criminal record must inform the individual in writing that the adverse action was based on the individual’s criminal record. G. Notwithstanding any other part of this chapter, a staffing agency may solicit criminal record information about an individual and make an individualized assessment of an individual’s criminal record when the staffing agency has identified a job to which the individual will be employed, or placed in a staffing pool.